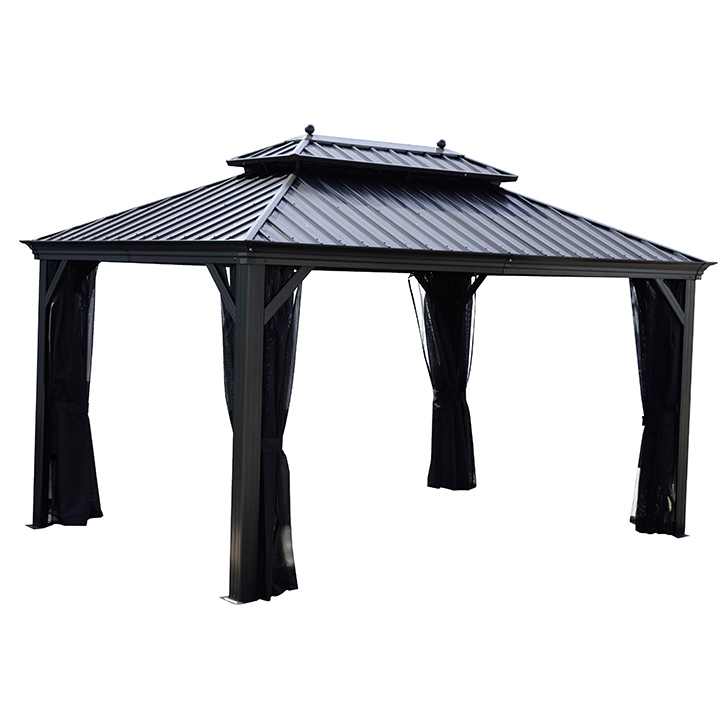 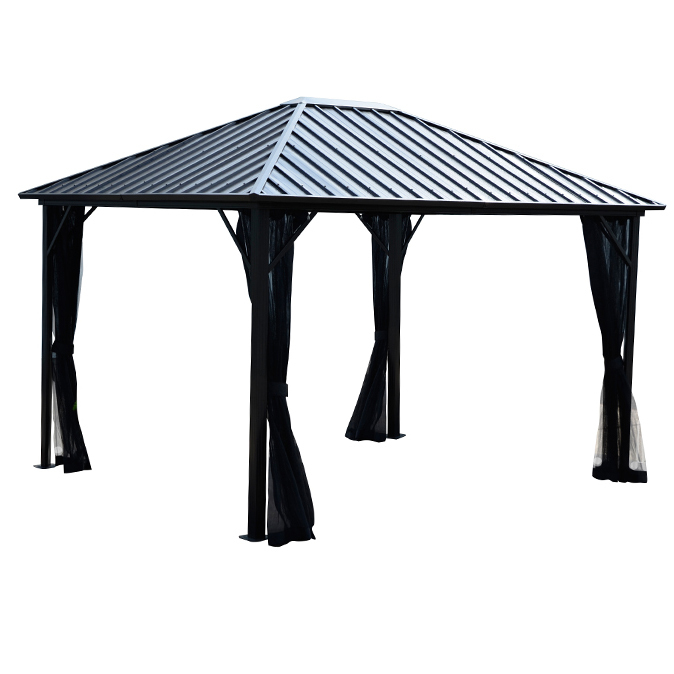 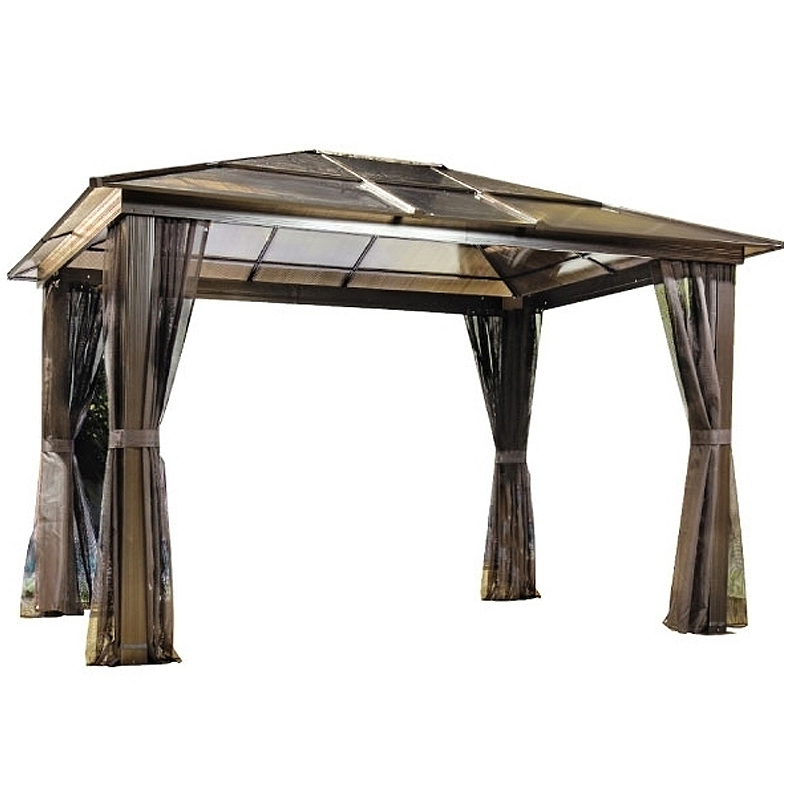 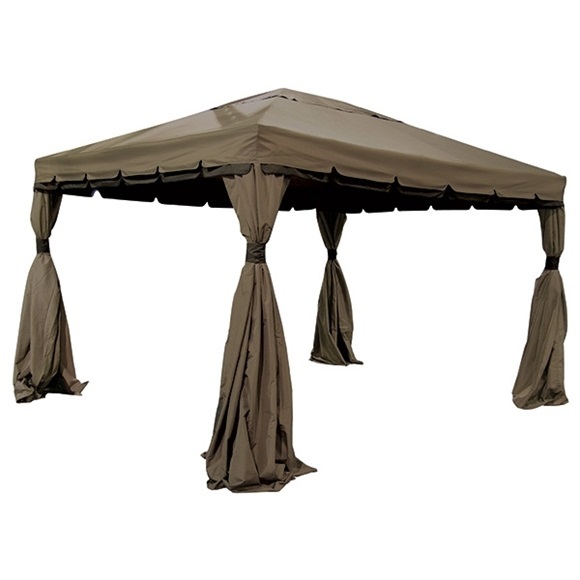 If you’re looking for a modern, beautiful, and large gazebo to entertain plenty of friends and family, then the 11′ x 11′ Madrid or 11′ x 14′ Barcelona Gazebo is the ideal option for you. 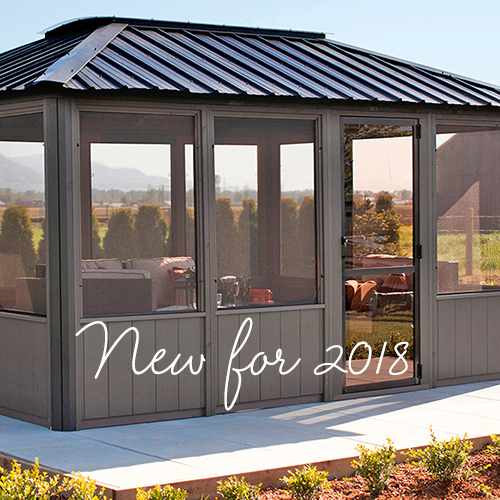 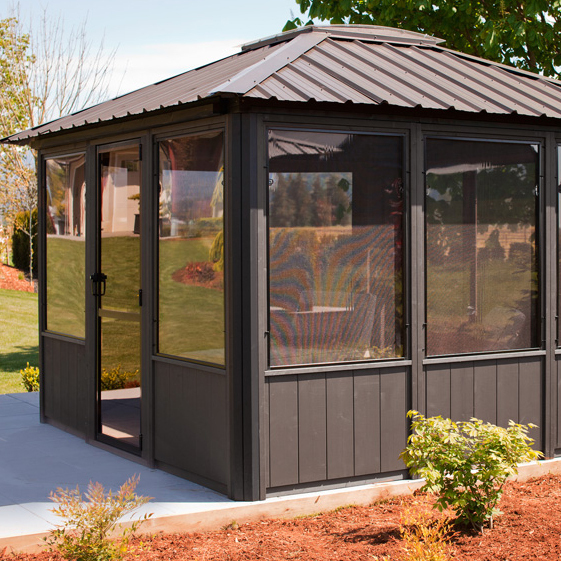 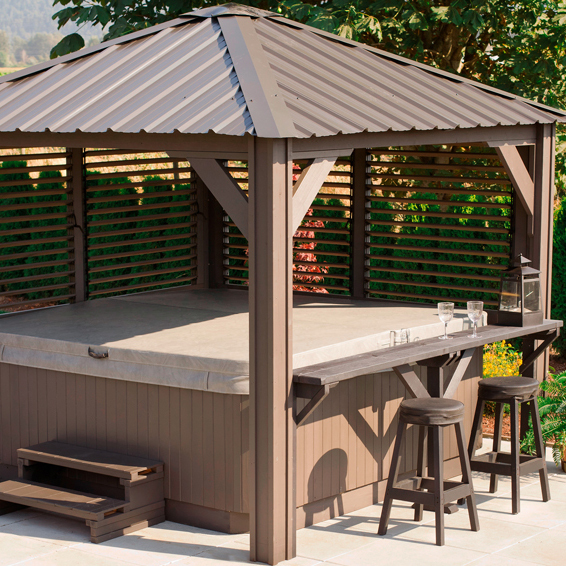 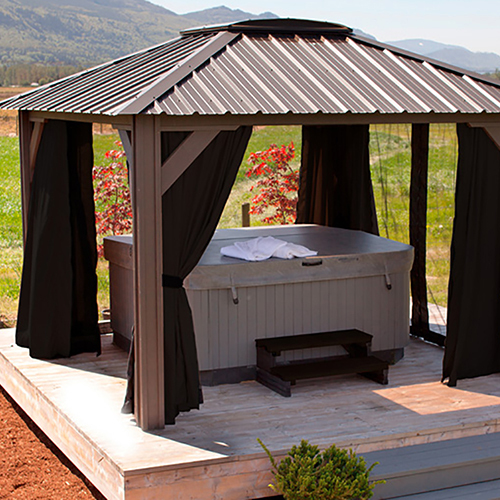 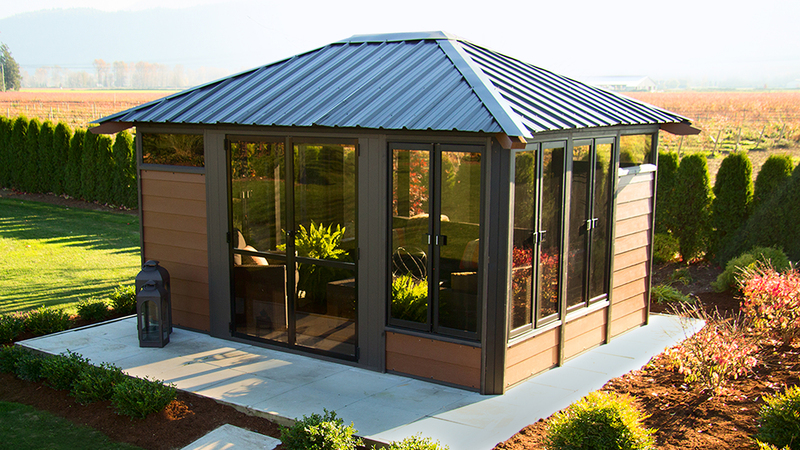 These elegant structures feature clean contemporary design that is built to last with SPF wood construction and a durable metal roof. 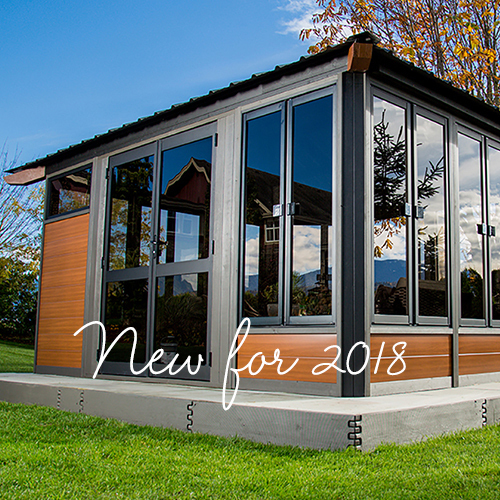 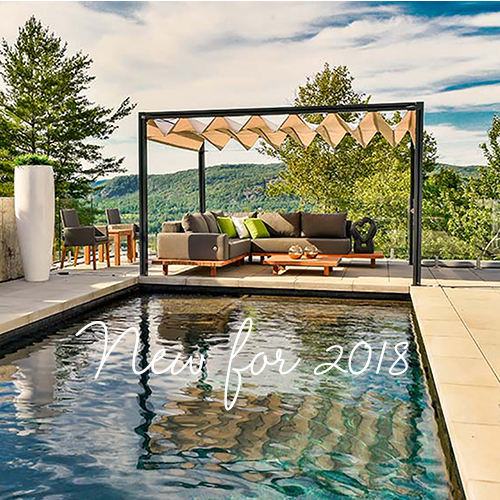 Extra large bi-fold windows are placed around the structure to offer ample natural lighting and the opportunity to open sections of the windows to create a subtle cross breeze as you enjoy your morning coffee or night cap. 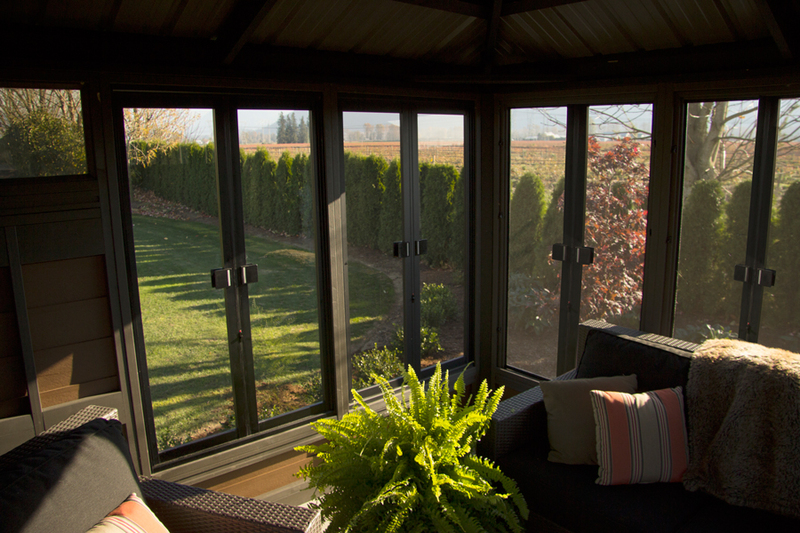 The entrance is a French door inspired double door that provides ample room for entry and exit into this inviting space. 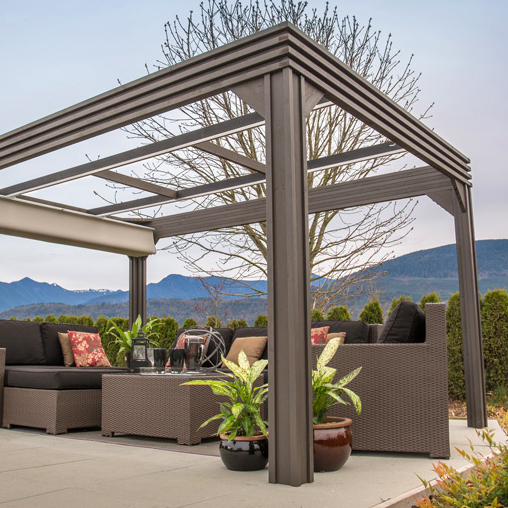 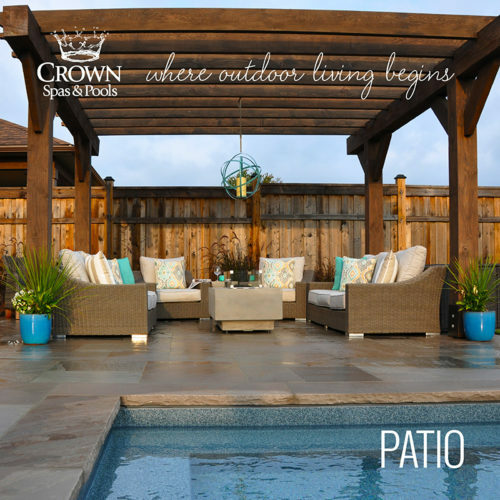 One feature you won’t find on any other gazebo is the inclusion of transom windows placed above the feature walls to add even more lighting to this incredible outdoor retreat.